Price Changed to $574,850 in South Lake Tahoe! 2853 Springwood Drive South Lake Tahoe CA offered at $574,850Continue Reading! 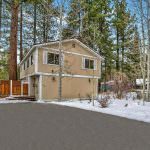 New 6 Bedroom Listing in South Lake Tahoe! 2853 Springwood Drive South Lake Tahoe CA offered at $589,000Continue Reading!